Around 68% of all households in America own pets and that means that many of our four-pawed friends are living in close contact with children. Kids who are beneath school age in particular can spend nearly all day with their pooch, so it is key that they ace their dog ownership skills from the word go. 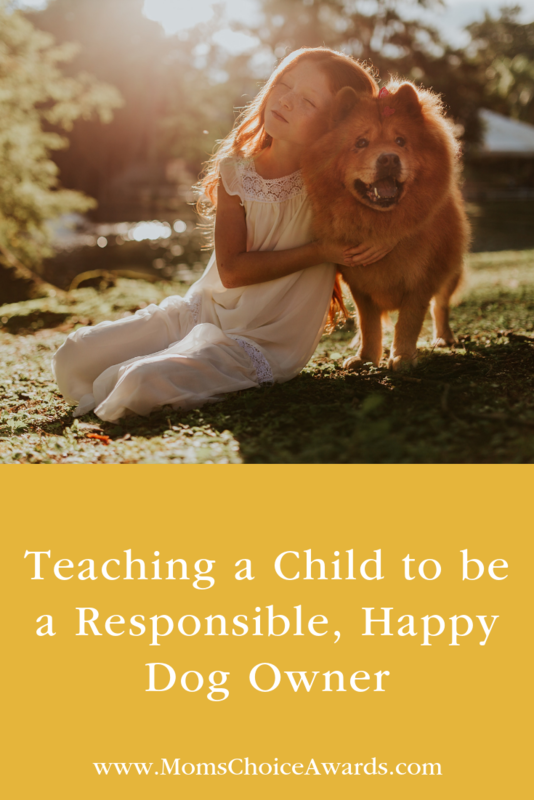 If you are a busy mom who would like to ensure the dog-child relationship is harmonious, take stock of the following tips and remember that you don’t have to be perfect at this task. Doing your very best will help you achieve your goals in next to no time. If you are bringing home a dog for the first time, teach kids the right body language to adopt prior to their first meeting with their pet. Ask them to stand with their side to the dog, and to wait for the dog to approach them first. 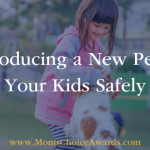 Once their dog is clearly interested in interaction, kids can gently make contact. Teach kids about appropriate pressure when petting a dog by placing their hand over under yours while you pet your dog. Let them now that pulling tails and ears are an absolute no-no, both because they hurt the pet and because they can make the dog angry. Finally, don’t leave small children alone with a dog; interactions should always be under your supervision. 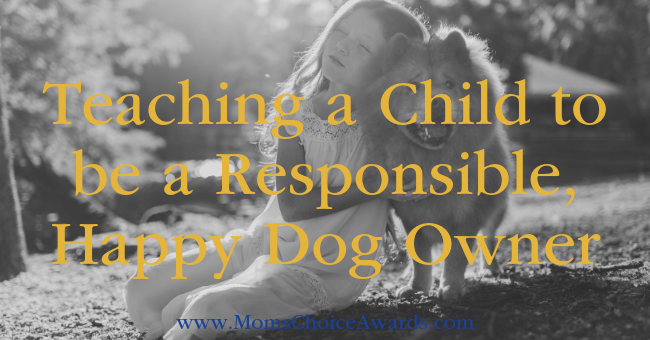 Your children should know that being a good dog owner also involves buying essentials such as a dog bed, lead, treats and toys, and the like. A responsible teen can be entrusted with the responsibility of buying food online monthly, or replacing broken or tattered items like toys and bedding. Smaller children, meanwhile, can help you by accompanying you to the store or helping you make selections for items like clothing and toys online. By involving them in decisions, they can feel a greater sense of responsibility for their pooch. The Centers for Disease Control and Prevention and various medical groups have warned Americans of the toll that the sedentary lifestyle is taking on the health of kids and adults alike. From obesity to Type 2 diabetes, a plethora of illnesses are plaguing us because we simply don’t get enough exercise. Make the most of exploring the great outdoors with your pooch by encouraging kids to join you for a walk twice a day. Early morning and after school are the perfect times to head for a park or forest with your dog. There, you can train your pooch, teach it to fetch, and play frisbee, making the most of the stress busting effects of nature. 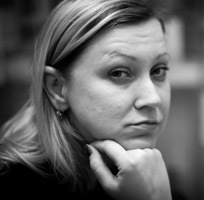 Why not create a roster with your kids, assigning tasks to different family members? Chores can range from cleaning the dog’s bowls daily to feeding Fido, grooming him, applying his monthly flea and tick treatment, and the like. 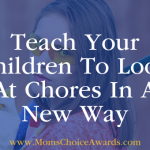 Save harder tasks (like trimming nails) for adults but try and give kids leeway in terms of their choice of chores, ensuring that food and other vital tasks are assigned to someone who is mature and responsible enough to complete these important duties without fail. If you have just brought a dog home, congratulations! You will have a friend for life and your kids will benefit form the human-canine relationship in many ways. Keep kids safe by supervising interactions, and keep your dog in tip top shape by ensuring it has quality food and all the exercise it needs. 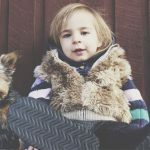 It doesn’t take long for families or dogs to adapt to each other so you may be surprised at how harmonious and pleasant the ‘getting to know you’ stage actually is. 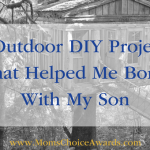 I loved this article. Thank you so much for sharing.